Perhaps one of the most powerful aspects of Avantalytics is the ability to customize your account. Key among customization is the ability to create, share and maintain custom groups of stores, custom groups of items, custom time periods sharing views and more. 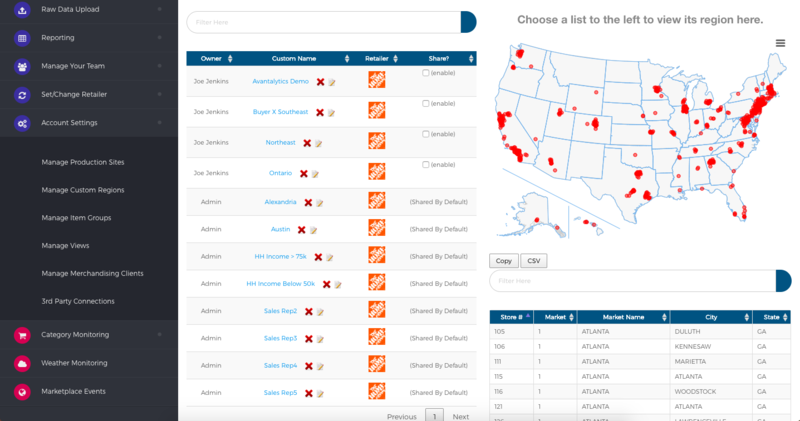 If you've ever wanted to report flexibly on store groupings - be it salesperson territories, planogram clusters, marketing DMAs or anything else - you can easily create and use custom groups of stores. The same thing holds for items - whether its singling out promotion items or new product introduction or removing key items from categories to investigate subtle differences - custom item groups are your key. The links to the left can help you learn how to do all these features - we highly encourage you to read them.